ICC supports most Voltronic inverters. 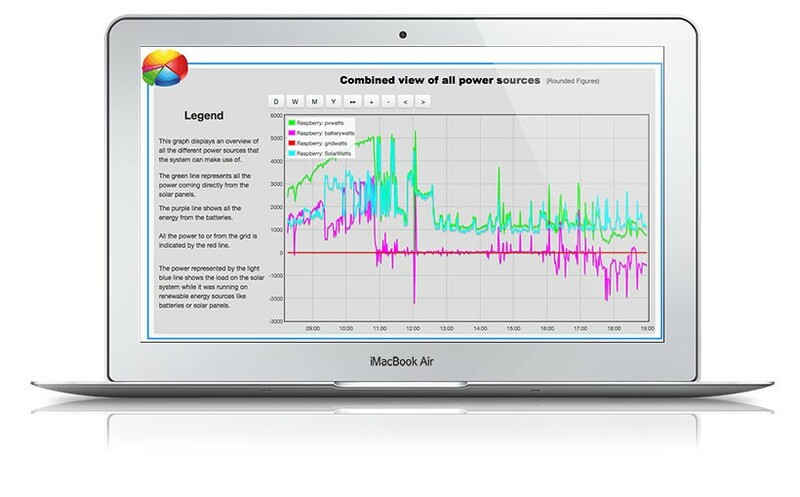 By seeing exactly where energy is going, this software helps homeowners find energy hogs and save money each month. Reduce how much energy is being generated from Eskom and how your usage affects your bill. 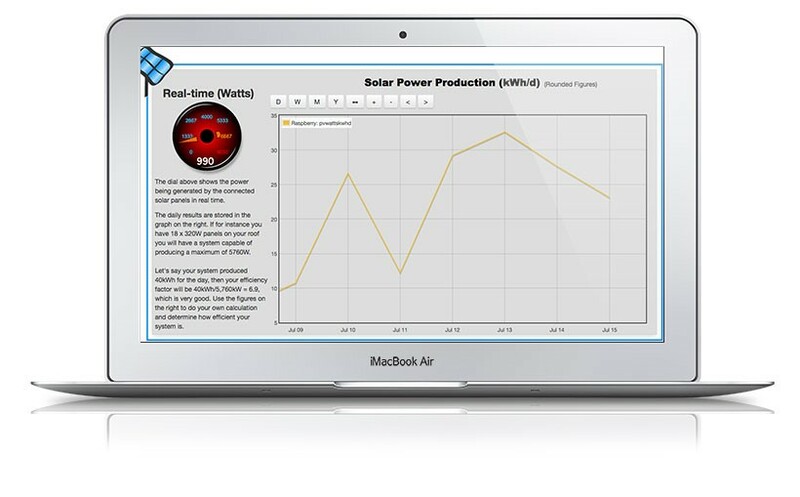 Intelligently manage and control your solar inverters and batteries – enhancing the ROI for residential storage systems while cutting the payback period. The real-time overview of anything and everything happening in your system. 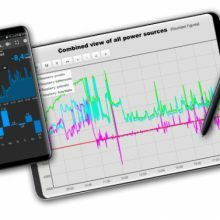 Daily and hourly maximums, system efficiency, critical components temperature, together with a graph that can be zoomed into infinitely makes this the perfect dashboard to monitor just how well your system is performing. The easy dashboard takes a minimalistic approach, showing only what you need to confirm that everything is running properly. 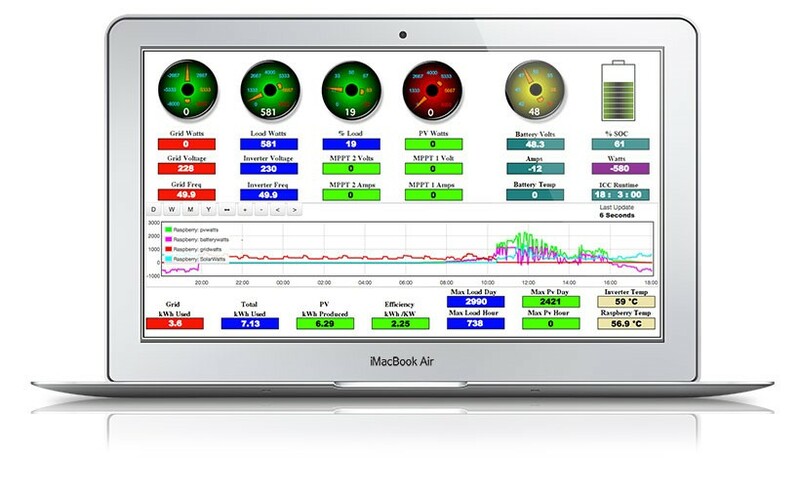 The power in and out of the system will show green, yellow or red based on configurable thresholds, to provide an at-a-glance view of the entire system. Called the Easy Dashboard, it’s exactly that – EASY! 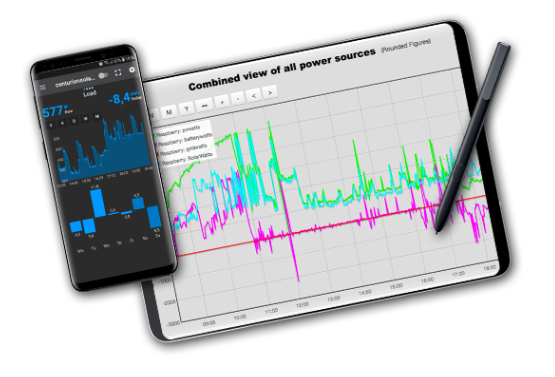 The real-time energy production of your system is recorded over time to enable performance tracking of the system. The efficiency and daily total production is also calculated. 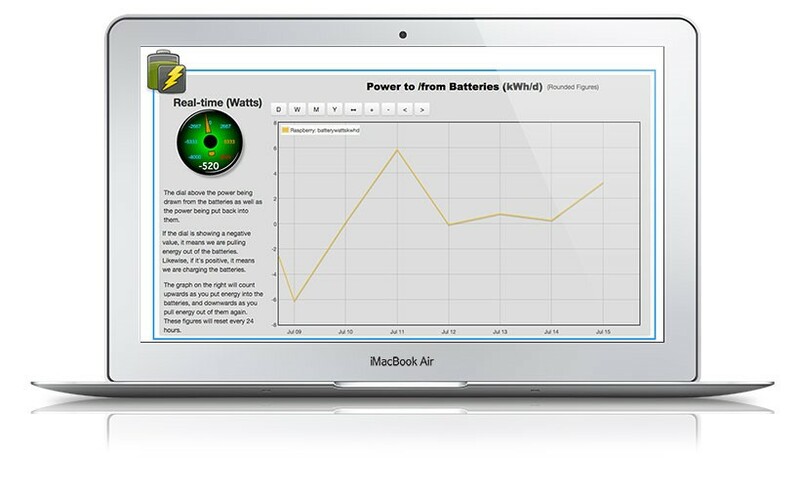 The amount of power going into or out of the connected battery stack is tracked over time as well. This helps to determine the SOH (State Of Health) of the battery stack, and is a critical measurement for today’s high cycle, high discharge Lithium batteries. Perhaps one of the most important graphs of the dashboard is the one that shows the state of charge of the batteries vs the voltage of the stack. 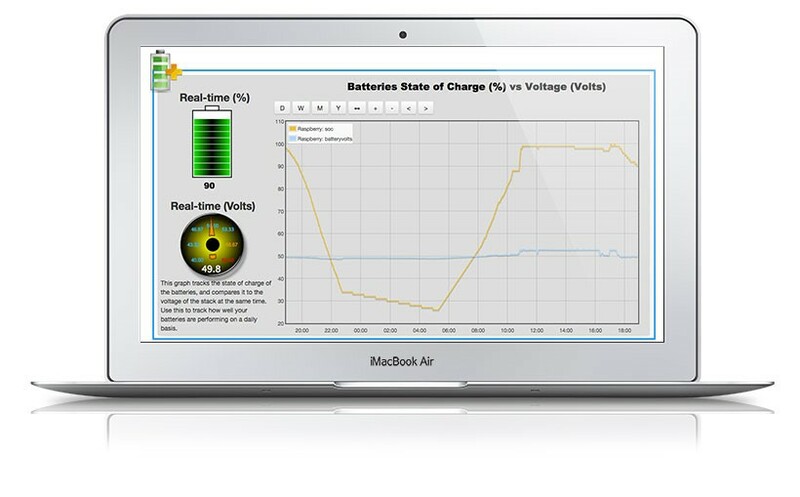 This allows the user to see how well the connected battery stack performs over time, ensuring that the maximum battery life and performance is attained. 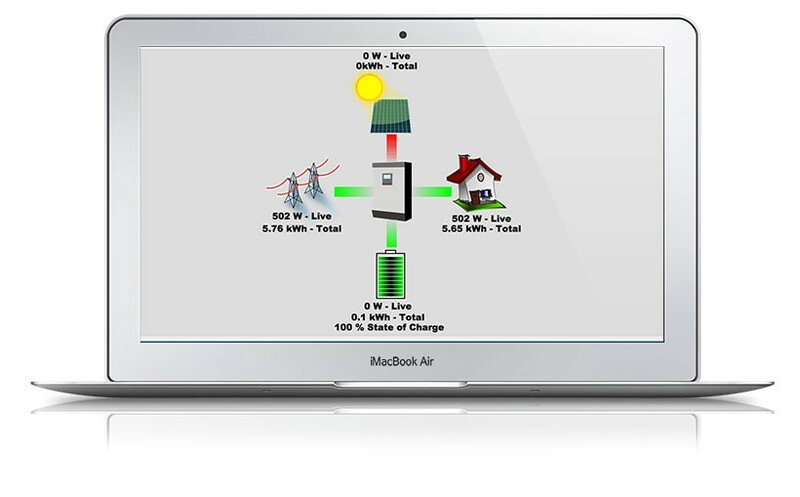 A real-time graph displaying all the different power sources shows the performance of the solar panels vs the performance of the batteries vs the grid consumption, and how they all link to each other. 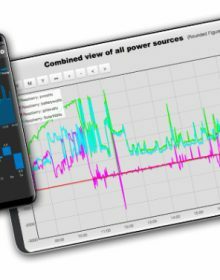 Looking at this graph we can see exactly how well the system is performing, when it runs off-grid, as well as when grid power is used to assist in the charging or powering of the different loads. Having your system connected to the cloud portal enables you to monitor the system directly on your phone with the Android App. 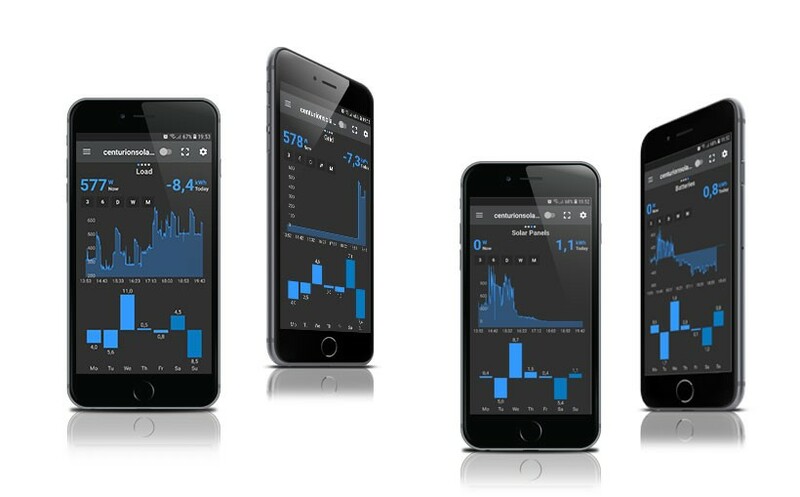 Multiple systems on one phone are now supported, making it the perfect companion for installers to ensure the health of all the systems they build.